When 28-year-old Alex Wood traveled alone through Japan this summer, he decided not to go the conventional hostel route. As a Silicon Valley developer, he wanted to learn about the country through the eyes of an Airbnb host, but he was worried he wouldn’t meet other travelers that way. You can imagine his excitement, then, at landing in Tokyo and discovering the company had organized a meetup of Airbnb visitors. Ten strangers gathered to eat lunch on Airbnb’s dime at a local restaurant. It solved Wood’s lonely-traveler problem, and he made friends to hang out during his time abroad. 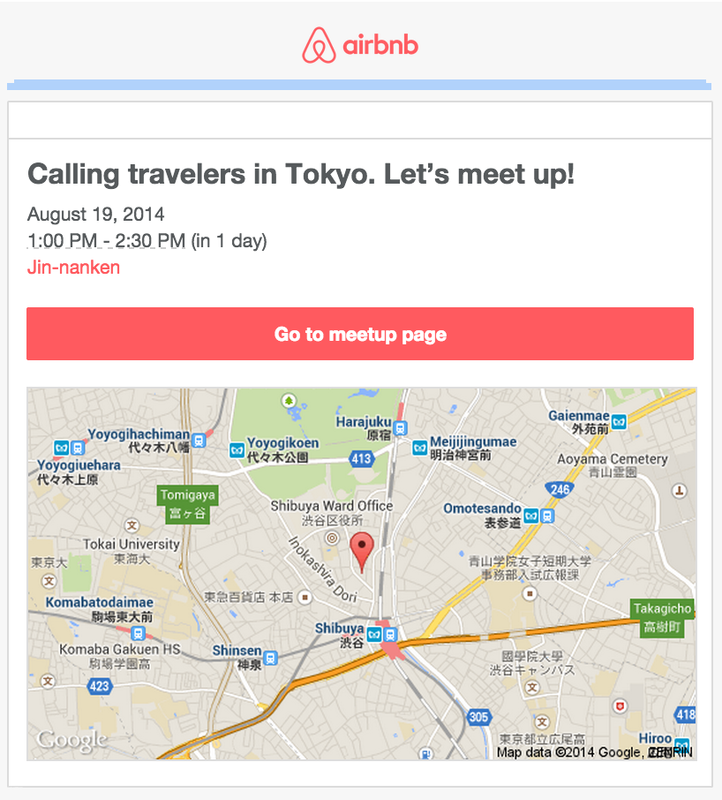 The event was organized by two of Airbnb’s community managers, who are responsible for connecting users of the application to each other. They’re part of a growing number of community managers in Silicon Valley, armies of people launching new markets and categories for companies like Poshmark, Lyft, Fitbit, Secret, Yelp, Polyvore, Kickstarter, Udemy, Product Hunt, Salesforce, Duolingo, the list goes on. Part sociologists, part event planners, part product developers, community managers straddle many different roles to build a sense of fellowship among a tech product’s users. Note: There’s a subtle but important distinction between community managers, who connect users to each other, and social media/marketing managers, who connect users to the company. For the purposes of this story we’re referring to the former. Early adopters take a risk being involved in startups, particularly marketplaces or user-generated content sites. It can be a steep learning curve, and sometimes a waste of time, to experiment with new products. But people are more compelled to make that effort if they’re joining an active group of other customers. A shared sense of identity and purpose builds trust and loyalty in users. The real power of community is that it becomes the brand. Communities have existed on the web since its earliest days, with tech employees tasked with cultivating them. But until recently, startup community builders never had much of a community of their own (oh the irony). They were shuffled to side panels at SXSW or grouped in with social media managers and growth hackers. They were seen as an ambiguous part of product marketing and not a profession in their own right. “The expertise was out there, but was it was very fragmented and isolated,” Rachel Happe, co-founder of industry organization The Community Roundtable, said. But in the last few years that has started to change. We’re seeing the professionalization of the practice, with emerging standards, customs, and experts. Community management is becoming a lifelong career path in its own right, with such positions being created at multiple occupation levels, including Directors and VPs of community. 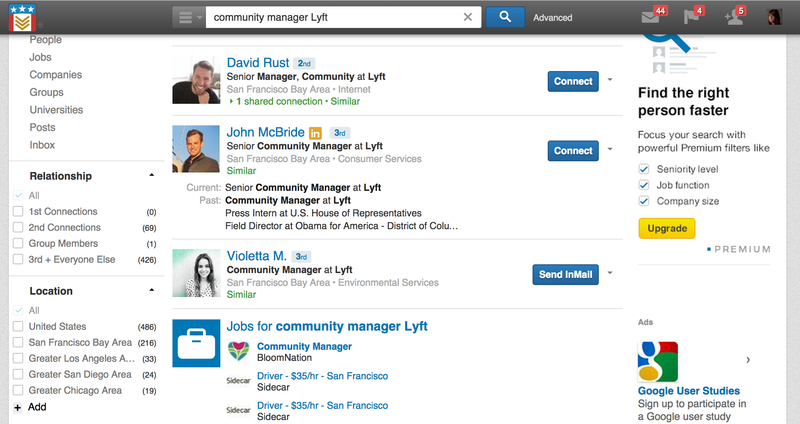 “Community management” job listings are appearing more and more frequently on recruiting sites. Professional organizations, like The Community Roundtable, have formed in the past few years to track the industry’s progress. And new conferences, like Thursday’s upcoming CMX Summit, bring community leaders together to discuss everything from social psychology to tracking ROI. Although there isn’t any hard data on the community managers in tech, I come across a lot of them when covering the sharing economy. Companies like Lyft and Airbnb hire armies of these people to expand into new markets, tasked with throwing events and connecting users to each other. It has become a common job of choice for the Bay Area liberal arts major without technical or entrepreneurial interests. Since community evangelizers have been around for decades – Ellen Leanse was connecting Apple users to each other way back in the eighties – it’s not entirely clear why community management is crystallizing as a tech profession now. The community professionals I interviewed had a range of theories. Tichy, who was an early community builder at Yelp before going on to run Airbnb’s efforts, thinks that community management gained legitimacy alongside the spread of startup practices. “There was a tipping point in the last few years when it drifted into mainstream consciousness,” Tichy said. Others think that the profession’s growing popularity may be tied to the maturation of social media and rise of the sharing economy. Although there’s plenty of cab drivers and full-time hoteliers on applications like Uber or Airbnb, there’s also a hefty chunk of regular people offering the service. For users to feel comfortable with this new kind of provider, companies had to build kinship between strangers. Lyft has been particularly good at leveraging the power of community, both to retain passengers and recruit its most valuable asset — drivers. For example, Lyft passengers and drivers are encouraged to fist-bump each other at the start of the ride, to ease the awkwardness of the introduction. Drivers have their own Facebook pages for sharing stories with one another, organizing in-person meetups, and coordinating themed Lyft rides. How do you get users to feel like they’re part of a movement? Even VC firms are starting to hire their own community directors, whose sole purpose is connecting portfolio companies to each other. The firms go so far as to build their own technology for such collaboration. First Round’s has a “private Quora” and YC built a Facebook-like “Bookface.” As I’ve covered, YC also hosts annual alumni events designed to bring its graduates together so they can network for potential business deals, distributors, customers, and advice. For some early-stage startups, building a strong community works better than traditional marketing techniques for acquiring new customers. That’s the reason anonymous location chatting app Yik Yak, which spread through universities, is growing much more rapidly than its competitor Popcorn Messaging. Once a college community forms on the app, people stick around and tell their friends. Steven Sinofsky penned a post on why Andreessen-Horowitz chose to invest in Product Hunt, arguably one of the more beloved Silicon Valley startups in recent memory. Explaining the motivation, Sinofsky said, “Product Hunt is much more than a site. Product Hunt is a community.” Fittingly, Product Hunt’s first full-time hire was a community manager. When individuals interact in meaningful ways in relation to a product, they associate those positive — or negative — feelings with the brand. Encouraging that kind of communication requires experts who understand group connectivity and how to scale it. “It’s clear community is a viable business model that has huge rewards if you do it in the right way,” Spinks says. Screenshots courtesy of Airbnb and LinkedIn. Tweet courtesy of Deco Carter, who runs a themed ride called Hip Hop Lyft. Community is the best long term defensible strategy a company has at their disposal. Smart companies are starting to realize that, and hiring accordingly. Yes, getting it right can have powerful effects. It’s another example of if you want to do it well put someone in charge of it so it’s their 100% focus. These things work much better when an employees role is not diluted with other efforts – create an “specialist” within the company. This is well suited to a young entry level him/her who thrives on building connections. The question is : Do you want to invest $50-$60k / year and are you comfortable with some hazy ROI ???? ?